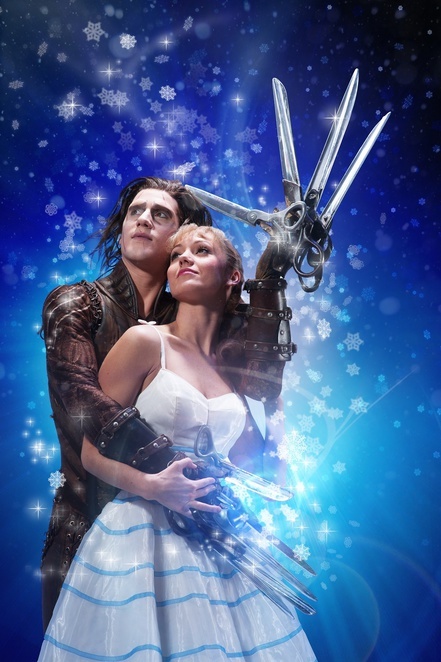 The all dance version of Edward Scissorhands, created by famed choreographer Matthew Bourne, has already received acclaim but its latest UK tour includes a new exciting, added ingredient. For sharing the lead role during the tour is twinkle-toed prodigy Billy Elliot - well, the original award-winning star of the stage show, dancer Liam Mower. I caught up with Liam when he was midway through the UK tour, that reprises Edward Scissorhands for the first time in seven years. 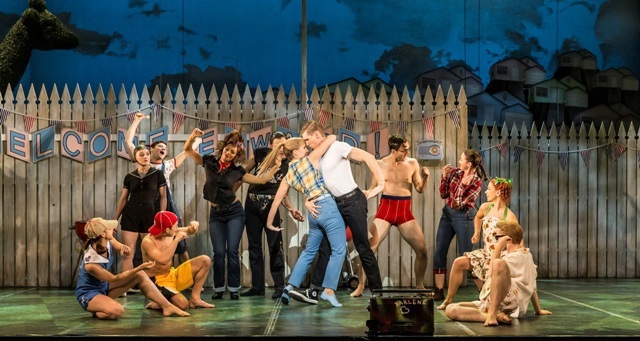 This major revival of the show with a fresh take on many scenes will be stopping off in Birmingham, Milton Keynes, Bradford, Southampton and Cardiff from February 10 until March 14. Liam is obviously excited about the part, which is refreshing for someone who at the tender age of 22 has already achieved major accolades. He became the youngest person to win the Laurence Olivier Award for best actor in a musical when he was just 13 for his role in Billy Elliot. Performed by dance group New Adventures, which toured with a sizzling version of Lord of the Flies last year, this Edward Scissorhands production similarly has a spectacular big-set with impeccable choreography that loses none of the charm or sentiment of the famous film starring Johnny Depp and Winona Ryder. 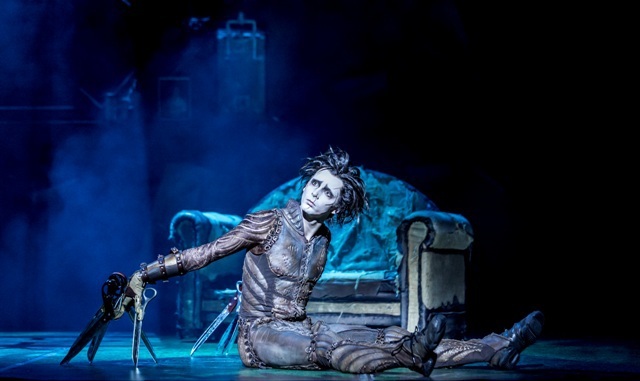 That could be because the show is devised, directed and choreographed by dance supremo Matthew Bourne, who has weaved his distinctive flavour into the bittersweet story of a boy created by a lonely inventor, who dies leaving him alone and unfinished with scissors for hands. Words are not needed to portray the innocent and gentle Edward's journey as he finds friends, love and enemies in small town America. Liam tells me how the show echoes the Tim Burton film and also features the memorable music score by Danny Elfman and Terry Davies. But, he adds that along with the touching love story, there is also far more detail about the local neighbourhood and its all American characters. "It's really fantastic being Edward Scissorhands and now we are on the tour, I am getting more accustomed to the hands," coos Liam. "When I first put them on, it felt very strange. "It's a movie I used to watch a lot as a child and one I knew well but there are also different themes in this stage show as it draws more on the characters in the neighbourhood." Liam adds: "It's not just about dance. During research for the production, all the dancers got to act it out together. Matthew (Bourne) gave us each a piece of paper and told us to breakdown our character - writing down the age, how you feel about being in Hope Springs, things like that. Then we all had to walk around in our role, being that person. "Dancers come from all different backgrounds. Some are classically trained, others have done contemporary dance, and that is what's so lovely about working in a dance company like New Adventures as you get to work with a whole sea of people who are great at different things." 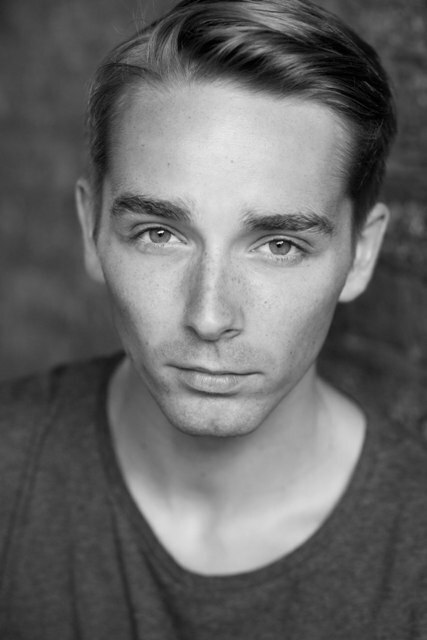 Liam may be making his debut as Edward this season (while sharing the title role with dancer Dominic North) but he is no stranger to New Adventures and Matthew Bourne. He has already played The Prince in the renowned all-male version of Swan Lake and Count Lilac in Sleeping Beauty, so pondering on his favourite role so far is quite a conundrum for the dancer. "Matthew Bourne's work is all so varied," says Liam. "Edward Scissorhands has definitely been a different experience for me, especially with the costume and the character. However, doing Swan Lake was amazing. Every male dancer would love to do that in their career." With an envious career including a recent appearance in Billy Elliot Live (this time playing the "Older Billy"), Liam knows only too well the drive and spirit needed to make it in the dancing world. He's very grounded and offers some key advice to young dancers out there. "It's a cut-throat, tough industry but you just have to keep on trying and working hard," Liam explains. "But it's really important that you enjoy what you are doing. "Everyone gets knockbacks and I've had my fair share and been to a lot of auditions that I haven't got. It's rare to find anyone that has had an easy road. At the end of the day, this is what I've always wanted to do. "You've got to remember that it's not easy, but don't give up, and most of all, enjoy it." Tickets are available from the theatres or the New Adventures website.